Nothing spoils the effect of a beautiful fireplace like an outdated surround. 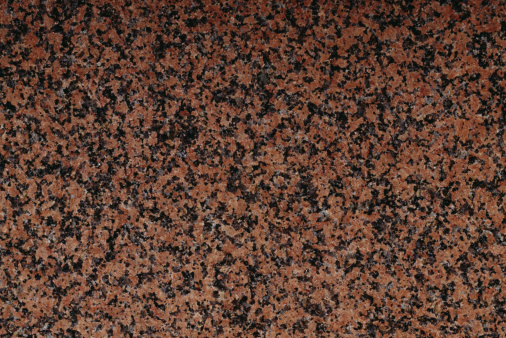 Granite is one example of a surround material that can grow tiresome over time. The smooth, slick surface may appear hard, cold and too 1980s-contemporary for your taste. One way to change the look of your granite fireplace is to paint it. Preparing the surface to accept the paint is the key to a beautiful and durable finish you'll enjoy for years to come. Update your granite fireplace with a fresh coat of paint. Sponge the granite clean with a degreasing cleaner until no grease or soil remains. Rinse the surface well. Apply painter's tape to the wall and mantle surface that adjoin the granite fireplace to protect the surfaces from paint. Dull the granite by abrading the surface with steel wool until all the gloss has been scuffed away. Wipe the granite clean of all dust, then dry it and any exposed grout thoroughly. Pour a small amount of adhesion primer into a paint tray. Roll a paint roller in the primer to fully cover the roller. Roll the roller across the ridges in the tray to wring out the excess primer. Paint the entire surface of the granite using small N-shaped strokes. Cross over your work to fully cover the surface, then roll light strokes all in the same direction, perpendicular to the cross strokes, to smooth the finish. Allow the primer to dry for at least four hours -- or for as long as the manufacturer recommends. Pour a small amount of oil-based paint in the paint tray. Roll the paint roller in the paint, then wring out the excess as you did with the primer. Paint the granite using the same small N-shaped strokes you used with the primer, crossing over your work for complete coverage. Finish with light strokes, working perpendicular to the cross strokes, so the paint covers smoothly. Allow the paint to dry thoroughly, according to manufacturer's directions. Apply a second coat of oil-based paint so the granite surface has a smooth, completely opaque finish. Allow the paint to dry for at least 72 hours. Mix a 50-50 solution of water-based polyurethane and mineral spirits in a pail to make a thin varnish to protect the paint surface. Fold a cotton cloth to form a thick pad. 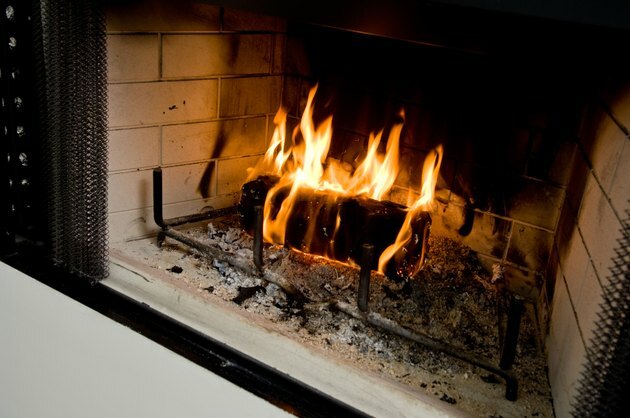 Dip the pad in the diluted polyurethane, and wipe the fireplace surface with smooth, light strokes. Overlap each stroke. Apply three to four coats in this manner, allowing one coat to dry thoroughly before beginning the next.